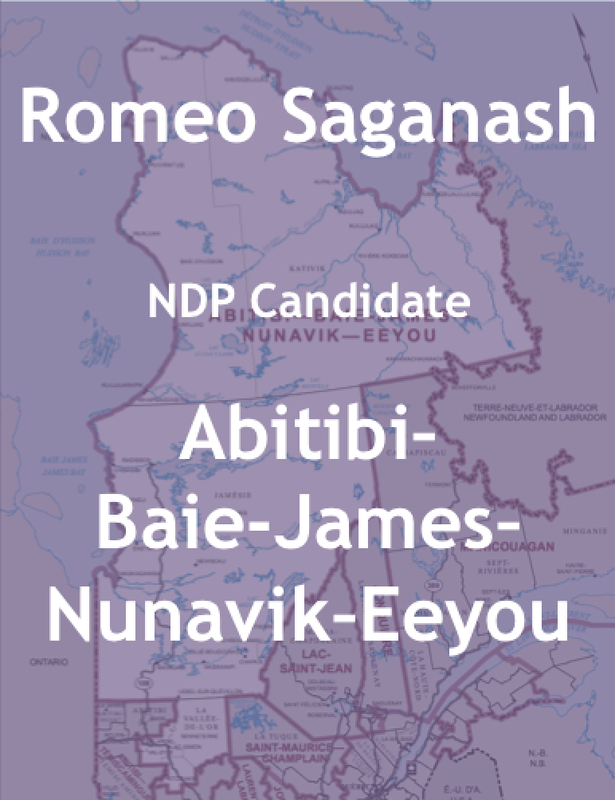 Romeo Saganash is from the Waswanipi Cree community in central Quebec, he is the NDP candidate and incumbent MP for Abitibi—Baie-James—Nunavik—Eeyou. 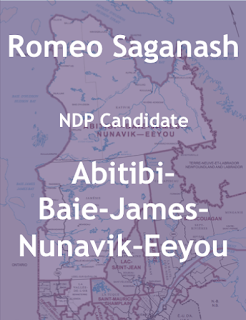 -Romeo was elected an MP for the northern Quebec riding during the 2011 federal election taking 45% of the vote. 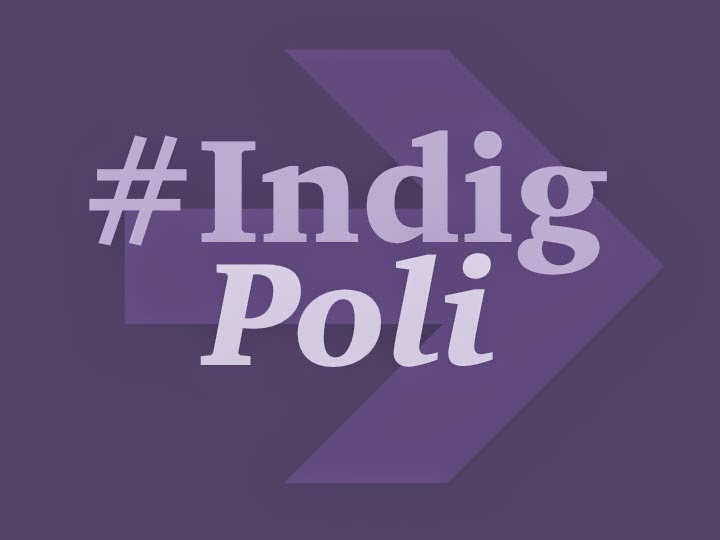 He has served as critic for Energy & Natural Resources and Deputy Critic for Aboriginal Affairs. -He introduced a private member’s bill in support of the government implement the United Declaration of the Rights of Indigenous Peoples (C-641), which was support by the Liberal party. It was referred to committee but later failed to read third and died on the order paper. -Previously, Romeo was the Director of Quebec Relations and International Affairs for the Grand Council of Crees. Before that he served as Deputy Grand Chief of same organization. 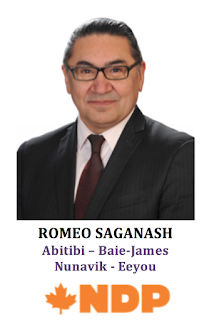 -He was Vice-Chairman of the Cree Regional Authority and also chaired the James Bay Advisory Committee on the Environment. -In 1985 he founded the Cree National Youth Council and later went on to earn his Bachelor of Law in Quebec. -The riding has a history of electing MPs from many diverse parties, Romeo was the first NDP to be elected in this riding. 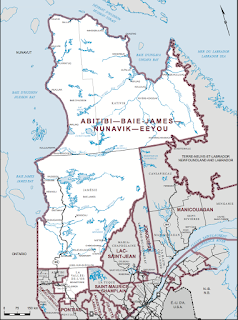 -The riding is the largest in Quebec in size and also has the largest Aboriginal population with 35.9% (2011 Census NHS) of total Canadian population in the riding. 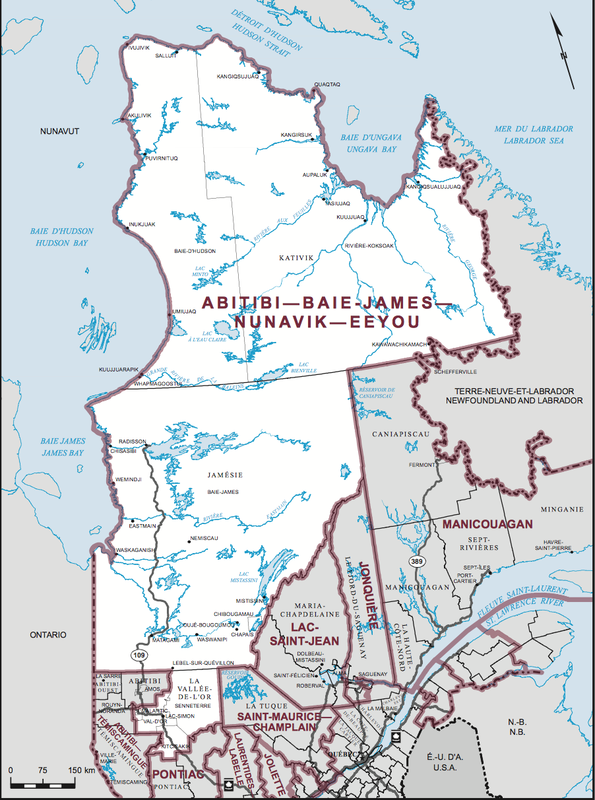 It includes several James Bay Cree communities and the Inuit communities of Nunavik.